This month’s edition is packed with resources to make an impact on your product design and development. 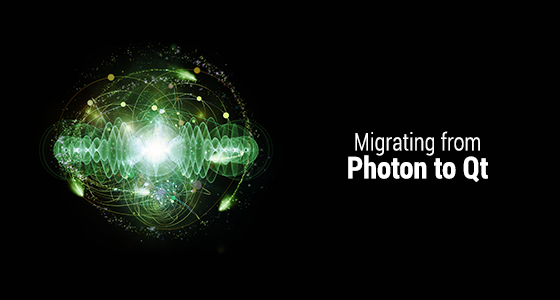 For instance, if you’re still using Photon and looking to make the switch to Qt, be sure to catch our live webinar Migrating from Photon to Qt on September 14. Our host shares his unique perspective as one of Photon's developers. Finally, check out our other Qt and QML blogs and resources, including a newly updated QML Quick Reference Guide for Qt 5.9.